Wrong SMTP Settings - How to edit? I just tried out the new sender SMTP settings. After the first trial, the email doesn't seem to send out. I suspect that it could be due to the wrong host name, so I decided to edit it but no function that allow me to do so. I tried to add a new sender email with the new email address but JotForm says it is already exist. So what now? -- When it is wrong, it is wrong FOREVER? Cannot remove cannot edit? We deeply apologize for the inconveniences that may have been causing. We would appreciate your patience while our development team works hard to have the custom email and the STMP setting editable. 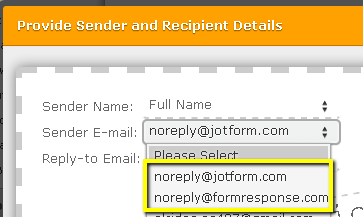 In the mean time we will kindly suggest you to use the noreply@jotform.com or the noreply@formresponse.com options. Please make it quick and fully tested. Ask your developers to look into the inaccurate "reply-to" issue also as I also heard many people complaining about it. As stated in your other thread, our development team is already working on it allow the SMTP settings editable. For now request you to please use the "noreply@jotfrom.com" alternative. We will keep you posted on the SMTP development. Got it. In future, don't simply release any new feature without a fundamentally complete functionality or else your whole support team will be busy answering whole bunch of repetitive questions like crazy. Sorry for not updating you about the SMTP settings. You can now actually edit/delete SMTP details from your account. Here's how: How to Edit/Delete Sender Emails on SMTP Settings. You can also restore the ability to send form emails from custom address or from the email entry of your form email field BUT you'll have to setup SMTP through Mandrill. 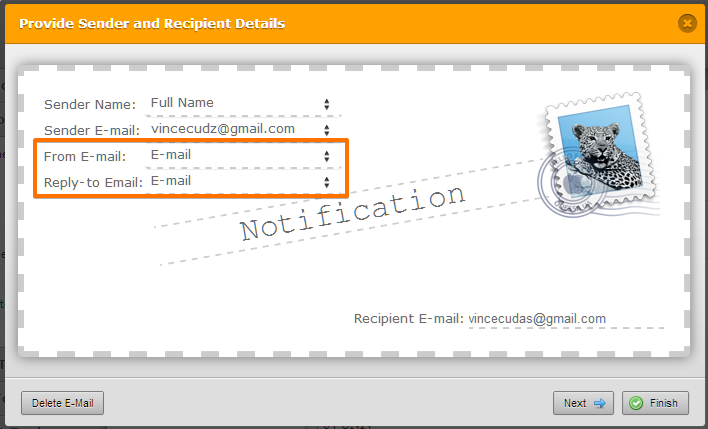 Check this guide: Set Email Field as the Notification Sender Email Address with Mandrill. We can help you to setup SMTP to Mandrill and add it to your account email settings, just please let us know the email address you want to use. You guys should have updated this thread earlier on. It works now, thanks. As for helping me to setup the sender's email by form entry, I don't think you guys can make it, because for my case, the users can be anyone in the public who would like to attend the training -- how can you dynamically helping me to setup as the user is registering or requesting for the training? So no point. Ideally, it should be the user sends the email to the training provider directly as we're just a 3rd party who should not interfere with their training deals. 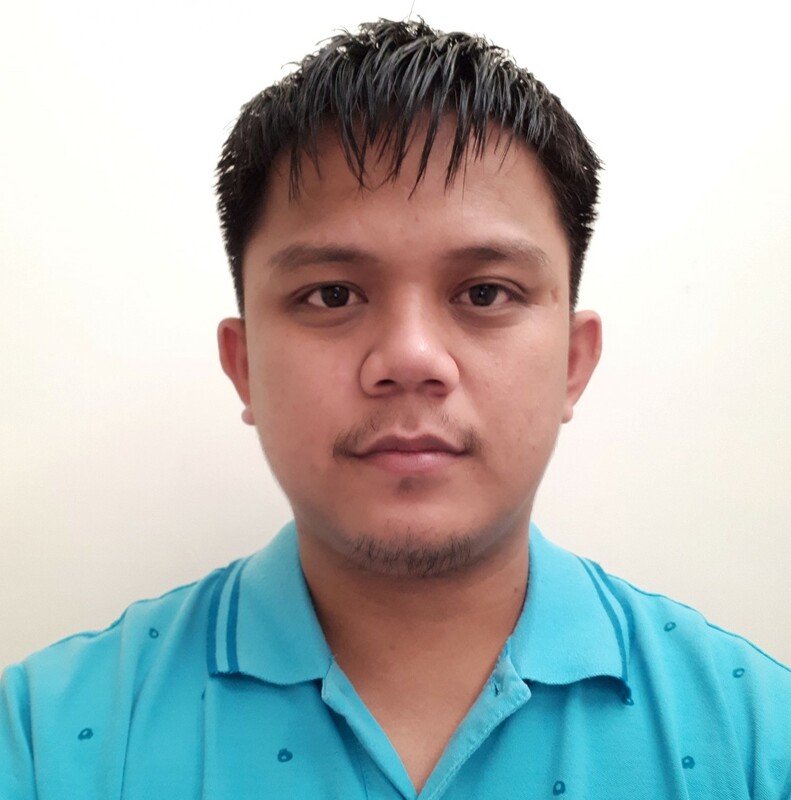 But since this is impossible, at least I can use my inquiry@malaysiatraining.net as sender and reply-to as the training provider, which makes more sense to the users and our clients compared to using noreply@JotForm,com. To help your JotForm customers to build their brand, JotForm should remain transparent except for those free accounts -- then you have the rights advertise your brand through free users. The "From E-Mail" which is set to the Email Field of your form will be use as the actual "Sender Email" of your form and NOT noreply@jotform.com or your personal email address. You can leave the "Reply-to Email" or you can put the same email address. Again, you will only do this once then you can use the same settings to the new form or old form(s). As we have explained a months ago, we've made this changes because we have detected an abuse to the system causing problems to our email servers. There are users that uses a fake or non-existing email address -so we add this verification methods and SMTP Settings to ensure email validity. This isn't to brand our forms. We don't put advertisements to our forms. We've made this changes for security reasons. Thanks for your thoughts and understanding. What you mean is, your Mandrill security will check if the form entry email is valid; if yes, use the form email, else use the sender's email as given, am I right? Then Just add a new sender email to the notification of the form you need. In that case, let me set it up myself. Please ignore my previous request (as Welvin offered to set it up for me). I will feedback to you guys if I hit any problem.